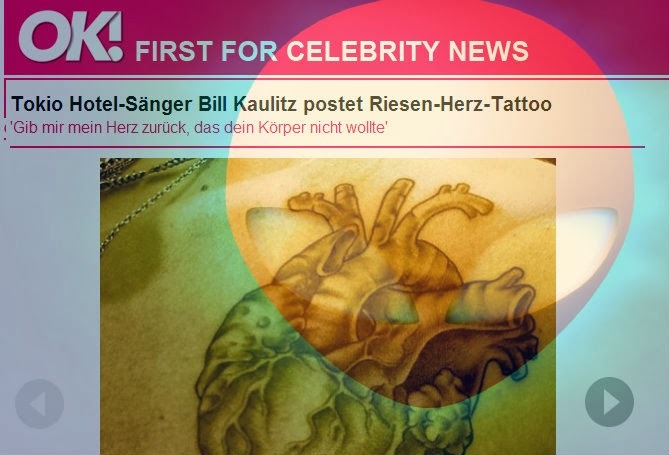 Tokio Hotel singer Bill Kaulitz after giant heart tattoo "give back my heart, that your body rejected"
Bill Kaulitz, 24 years, Tokio Hotel keeps needles hobby and now has a huge heart. The art of body looks so real, almost, it seems that you could take it from his body. 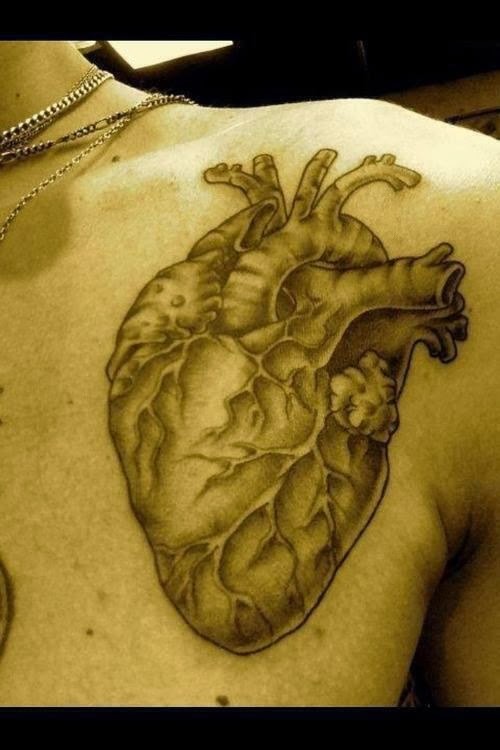 "Give back my heart, that your body rejected." What he wants to tell us with this message? I hope that Bill has no headache! In July surprised Magdeburg with a stylish short hair.